PayPal Chargebacks: Is the Seller Protection Program Enough? PayPal is one of the world's largest internet payment companies, boasting over 203 million active accounts in 200 markets worldwide. Buyers and sellers trust Paypal because of its reputation for security and its user protection plans. But buyers who use a credit card through Paypal actually represent a doubled chargeback risk for merchants, since those customers can file a chargeback with their credit card company or file a dispute directly with PayPal itself. The results are nearly identical, but merchants should understand why the two methods exist, how they differ, and what protection PayPal actually provides. PayPal transaction disputes and credit card chargebacks were both designed to be consumer safety nets—an alternative to be used if a merchant and consumer could not agree on a refund. With a chargeback, the customer is asking the issuing bank to intervene. The bank steps in, withdraws the funds from the merchant’s account and charges the merchant a fee, while the customer gets their money refunded immediately. Of course, PayPal users don’t always opt for a credit card, and if no credit card was used, a bank chargeback isn’t possible. That’s why the company provides its own 2-stage dispute resolution service. The first step is for the customer to file a PayPal Transaction Dispute, which is more of an acknowledgment that a problem exists. Disputes can easily be advanced, however, into a formal claim, which is very like a regular chargeback. Note that this is an “either/or” situation: if a buyer opens a PayPal Dispute and a chargeback for the same transaction, the PayPal claim is automatically closed, and only the card issuer’s chargeback will proceed. According to PayPal’s chargeback rules, dissatisfied customers should first file a dispute through the company’s Resolution Center. For PayPal, the goal here is to more or less force the buyer to contact the seller before things get serious. At this stage, PayPal is only marginally involved. The company promises they won’t try to collect the disputed amount, but that’s about it; they really prefer users to work things out among themselves if possible. If the parties involved can’t resolve the issue, the dispute becomes a claim, and PayPal agrees to consider the situation—much like a bank would investigate a chargeback. There’s one significant difference, however: in the case of a chargeback, the bank will automatically refund the money to the buyer, whereas PayPal will freeze the disputed funds in the seller’s account while the claim is decided. As long as the purchase qualifies for seller protection, the seller’s balance remains intact. PayPal proceeds in much the same way when a customer files a chargeback directly with the credit card company. There’s no hope of resolution, so the disputed amount is frozen in the seller’s account and PayPal representatives investigate the matter. 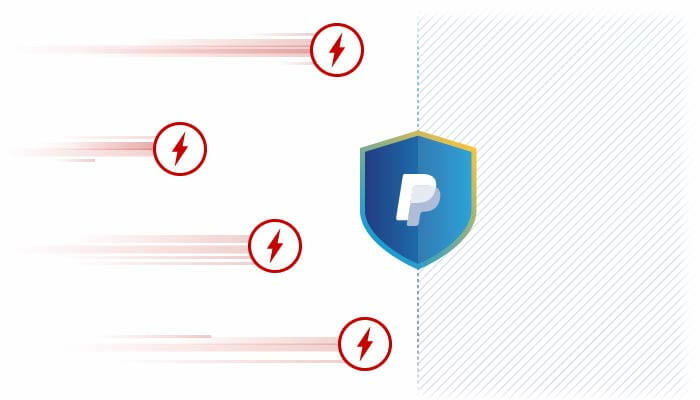 Protect your business from Paypal chargebacks and other friendly fraud. PayPal will also file a chargeback dispute against the credit card company, hoping to get the chargeback overturned. Regardless of whether PayPal wins or loses the case, the company states it will waive any chargeback fees and allow you to retain the full purchase amount. This does not include transaction costs charged by PayPal (similar to a bank's interchange fee). This is assuming the purchase qualifies for Seller Protection (and all additional requirements are met); for other purchases, the buyer is responsible for product and shipping costs, plus any fees or penalties associated with the claim. This entire process can take months to resolve. Whether the dispute comes from a bank or directly from a buyer, PayPal’s first step is to determine if the purchase is even covered by the Seller Protection program. Disputes for covered purchases proceed to the next step, while all other cases are closed. So, what constitutes eligibility for Seller Protection? PayPal’s requirements may seem restrictive, but they suggest that the company is mindful of current industry challenges. The growing list of transactions not covered by Seller (and Buyer) Protection reflects areas particularly vulnerable to fraud under current regulations. Is Some Protection Better Than Nothing? It’s a gesture of good faith that PayPal is at least trying to protect its users, but the company’s chargeback coverage is limited. Merchants need to familiarize themselves with the lengthy list of requirements that come with the program. They should not consider Seller Protection as a first line of defense against PayPal chargebacks. At the same time, PayPal’s judicious use of restrictions on the Seller Protection program does reflect an intent to mitigate the chance of chargeback fraud. By not offering protection in certain high-risk categories, the company is hoping fraudsters will pass them by in search of easier targets. Both sellers and buyers have a variety of options to choose from when selecting processing solutions and PayPal has shown a willingness to forgo revenue opportunities that do not fit within their somewhat narrow model. True chargeback prevention requires much more attention and scope than PayPal’s Seller Protection can provide. 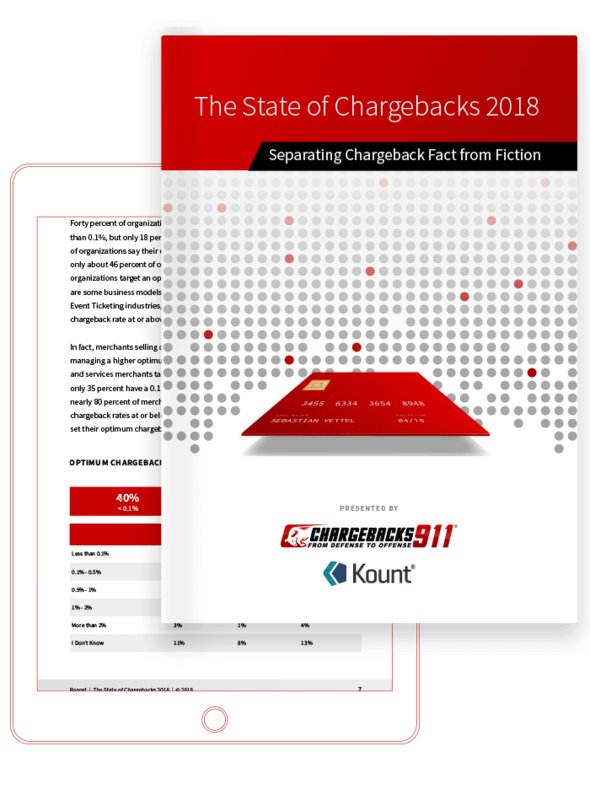 To learn about chargeback management help that goes beyond the minimal assistance offered through PayPal, talk to Chargebacks911® about a free chargeback analysis.